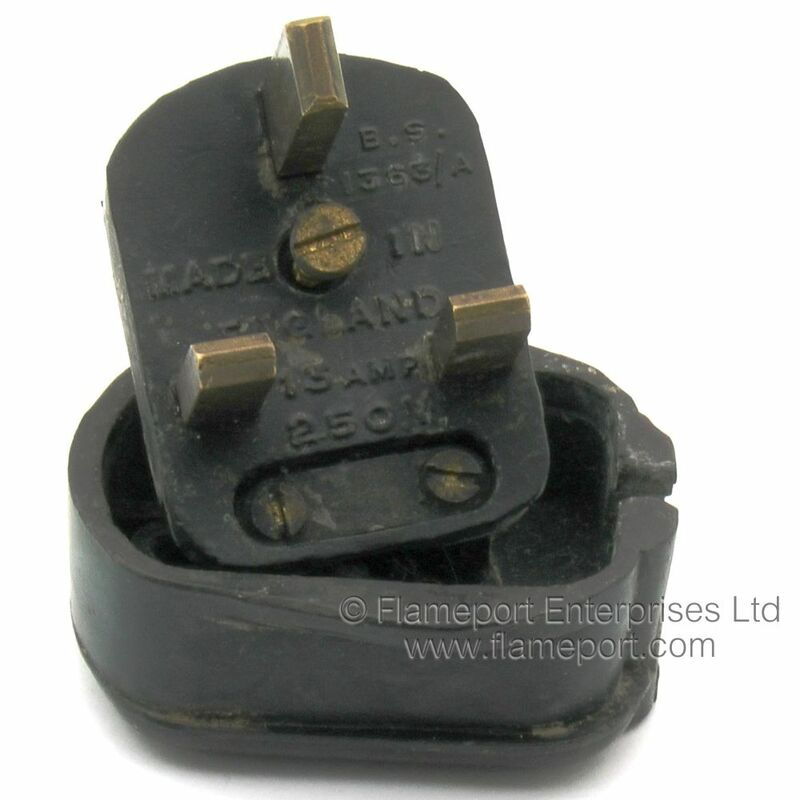 A supposedly unbreakable plug made from black rubber. 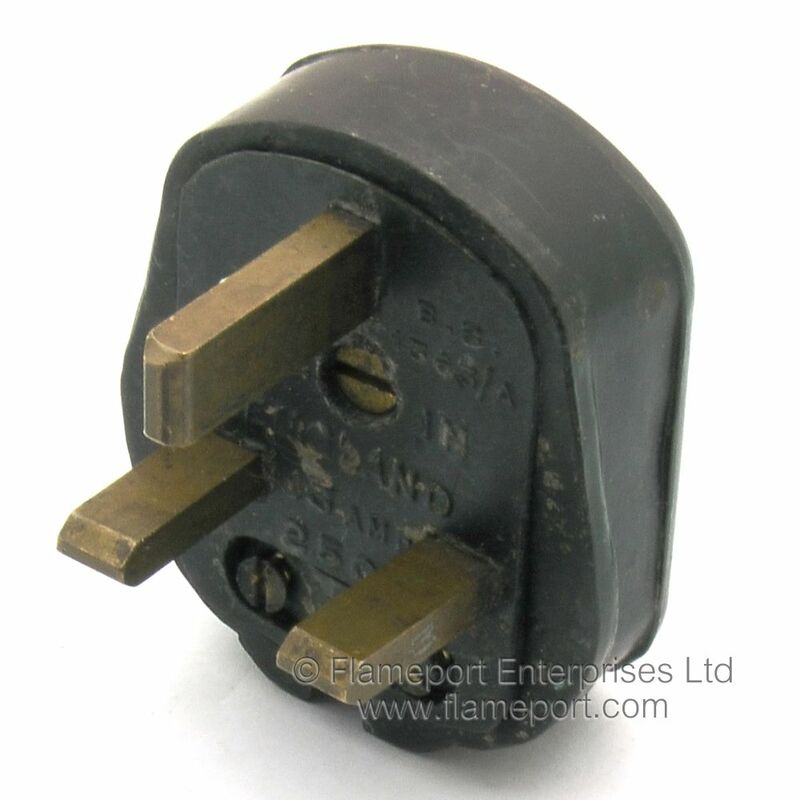 The cover of this plug has multiple thin vertical lines, with the word Hercules near the lower edge. The word FUSED appears just above the flex entry. 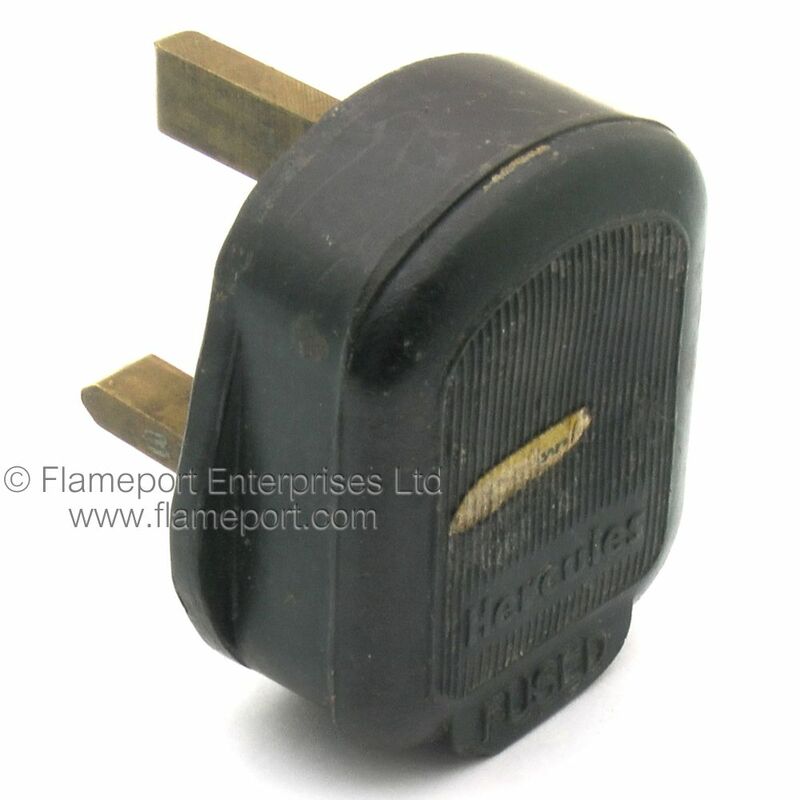 Made from a semi-flexible rubber material, this type of plug was typically sold as 'unbreakable' as it would not shatter unlike thermostting plastic plugs such as those made from Bekelite. 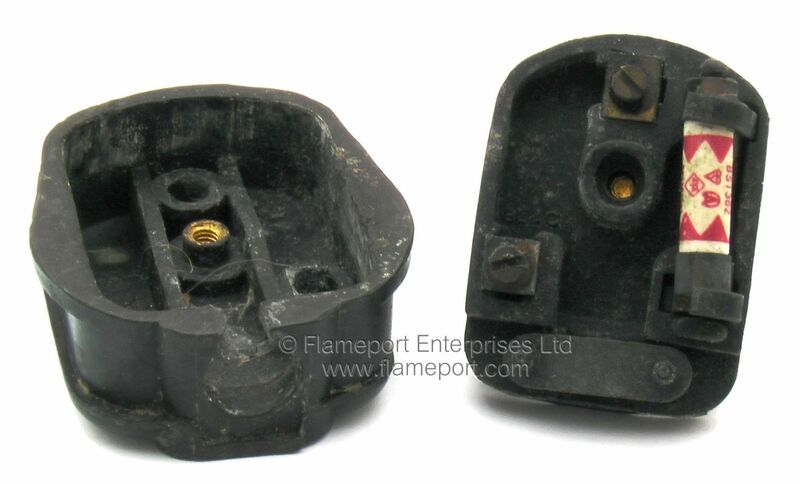 The base which contains the pins is made from a moulded black plastic material. A single screw holds the lid and base together. This example contains a red 3 amp fuse, the line terminal being underneath the upper end of the fuse. Terminals are identified by the colour - Black, Red, Green wording being moulded into the base. The lid is of the 'wraparound' style, and someone has cut a slot in the flex hole, rather than pass the flex through the hole before wiring the plug. The two screws at the lower edge are the flex grip, which holds the flex between two flat bars. Plug pins are unsleeved. This example is probably from the 1960s.